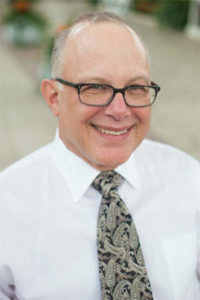 Dr. Snitzer, dentist in Chesterfield, grew up in the St. Louis area and, except for his years of training, has always lived in the St. Louis area. He attended the University of Missouri and was accepted for early admission to the dental school at the University of Missouri at Kansas City where he earned his dental degree (D.D.S.). Following his graduation from dental school Dr. Snitzer completed a residency in Periodontics at the University of Iowa. Here he earned a certificate of specialization in Periodontics and a Master of Science degree related to the research he completed. Dr. Snitzer also received the program’s outstanding periodontal resident award upon completion of his residency. Dr. Snitzer is a past president of his local district dental society and the local chapter of Alpha Omega Dental Fraternity. He has also served on the board of directors of the Greater St. Louis Dental Society. He is a member of the American Academy of Periodontology, the American Dental Association, the Missouri Dental Association, the International Congress of Oral Implantologists and the Academy of Osseointegration. Dr. Elizabeth Binz was born and raised in Jacksonville, Illinois. She graduated from the University of Notre Dame with a Bachelor of Arts in Anthropology then earned her Doctor of Dental Surgery degree from the University of North Carolina School of Dentistry. During her time at UNC, she was a board member of ENNEAD, a student-run organization committed to serving the community, was the recipient of the 2014 Grover C. Hunter Award for academic and clinical excellence in the field of periodontics. Dr. Binz returned to the Midwest for her residency. She received her training in Periodontics at the Saint Louis University Center for Advanced Dental Education and earned both a Certificate in Periodontics and a Master of Science in Dentistry. Dr. Binz is a Diplomate of the American Board of Periodontology. She practices a full scope of periodontal procedures including the treatment of periodontitis, soft tissue grafting, bone regeneration, periodontal-orthodontic procedures, and dental implant planning and placement. She is also certified in the Pinhole Surgical Technique. She is an active member of the American Academy of Periodontology, the Academy of Osseointegration, the Midwest Society of Periodontology, the American Dental Association, the Missouri Dental Association, and the Greater Saint Louis Dental Society. Dr. Binz enjoys traveling, reading, and spending time outdoors with her family. Her husband Dave is a Saint Louis native who works as the Director of Engineering at Cambridge Engineering in Chesterfield. Together they have two happy and lively boys, Charlie and Jack.